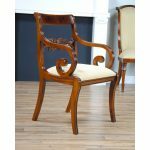 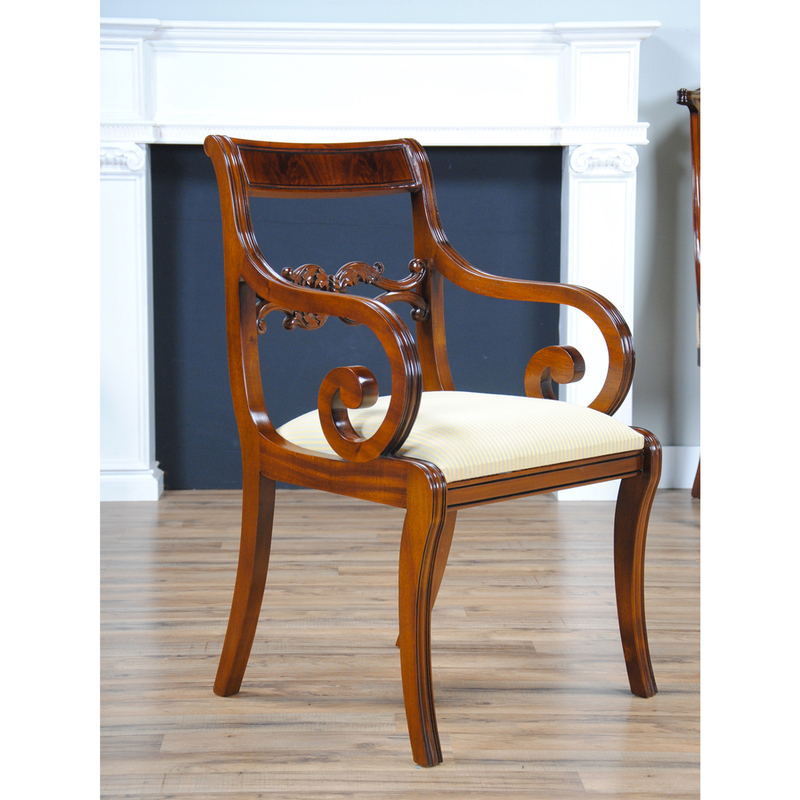 The set of 10 Philadelphia Empire Chairs by Niagara Furniture is comprised of 2 arm chairs and 8 side chairs. 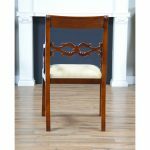 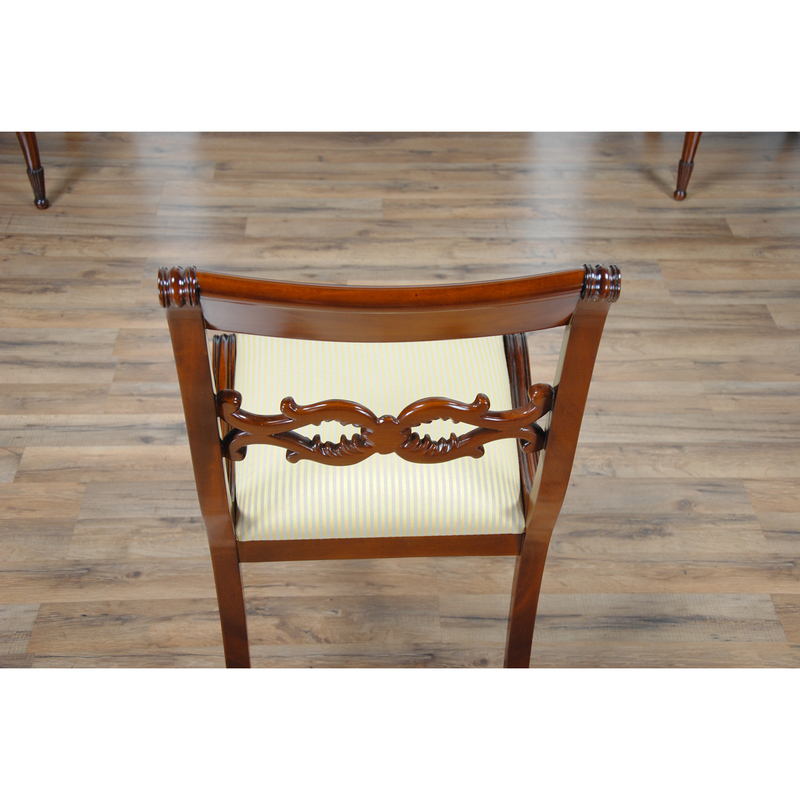 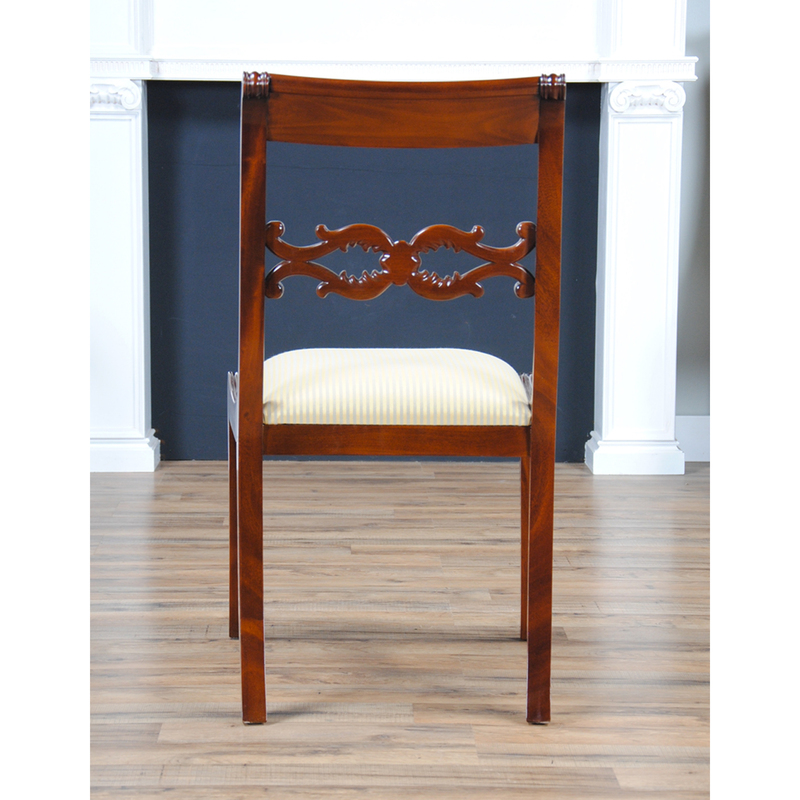 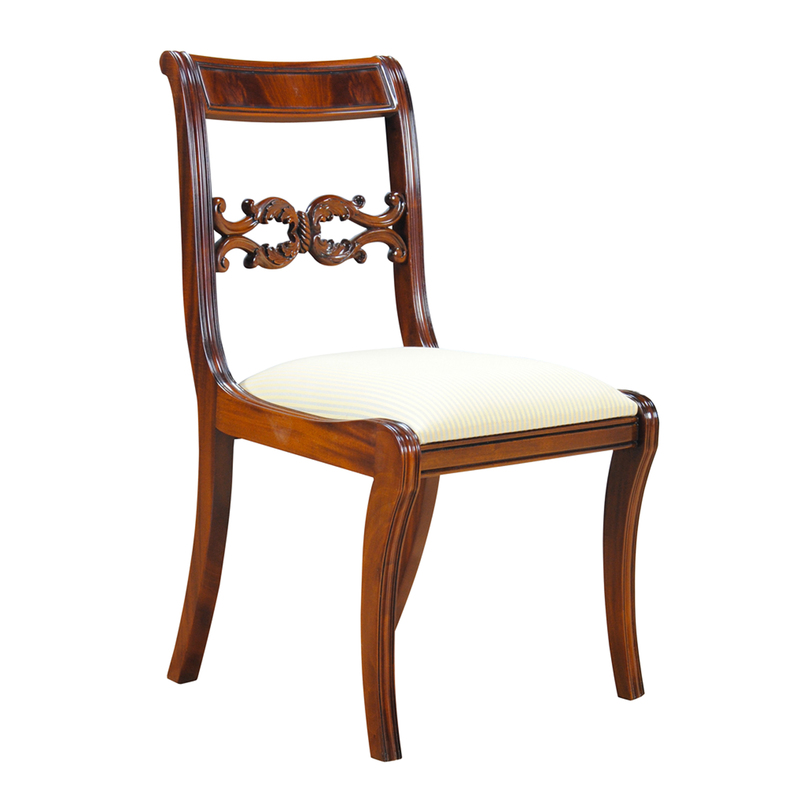 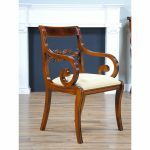 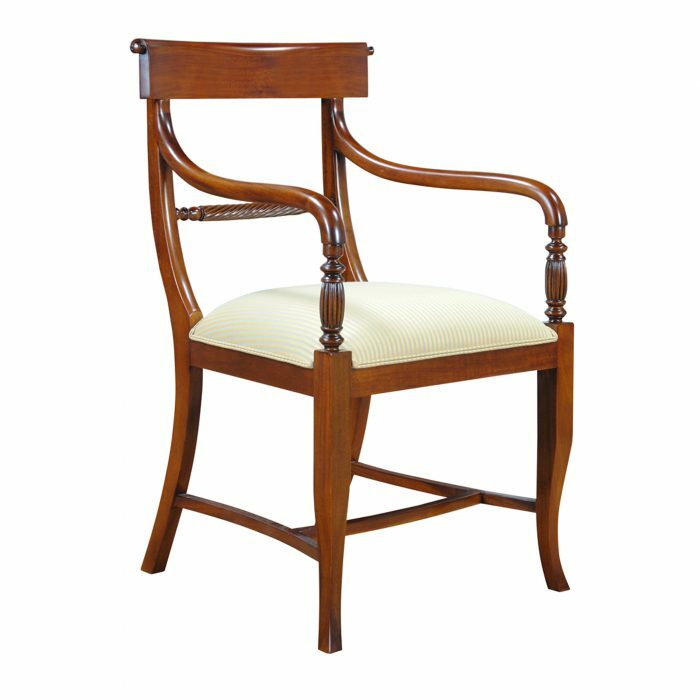 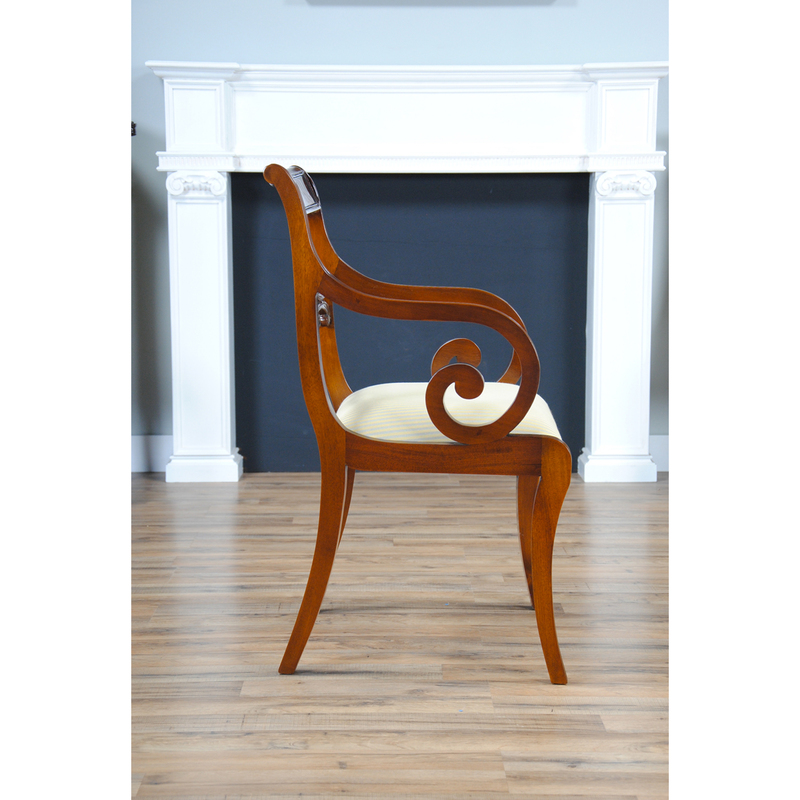 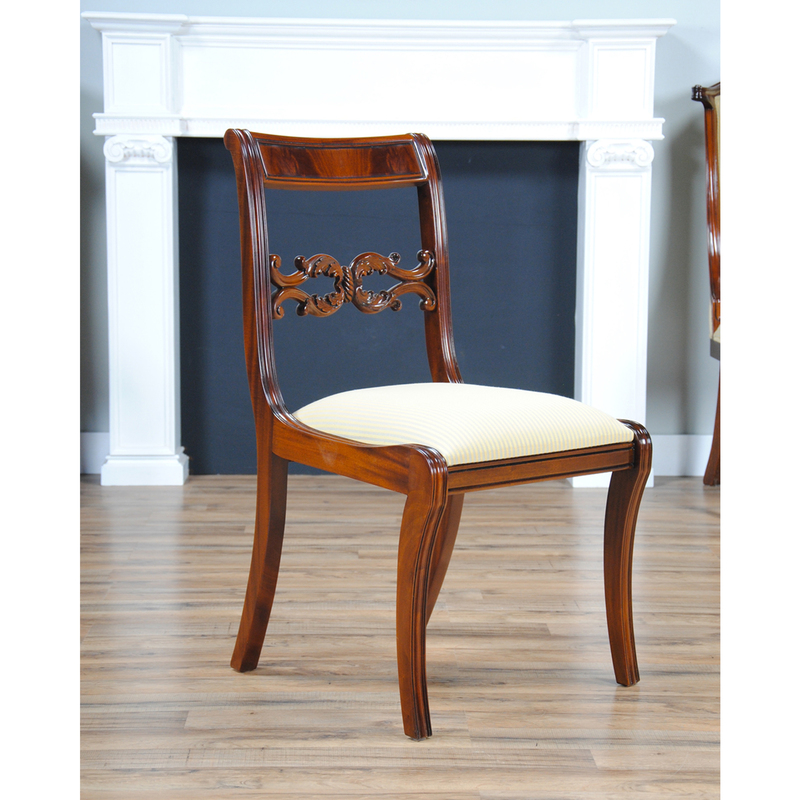 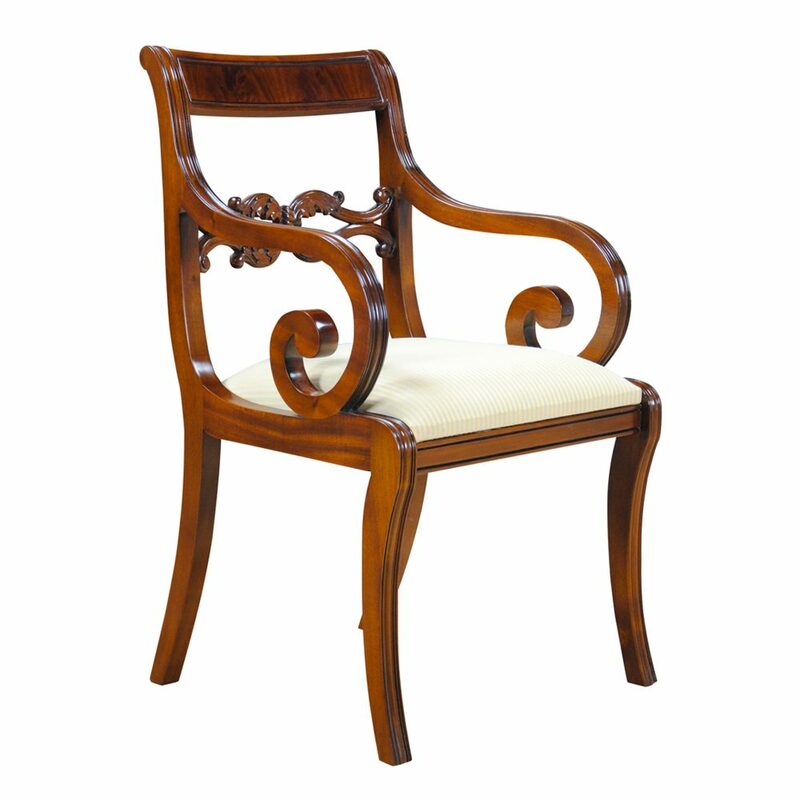 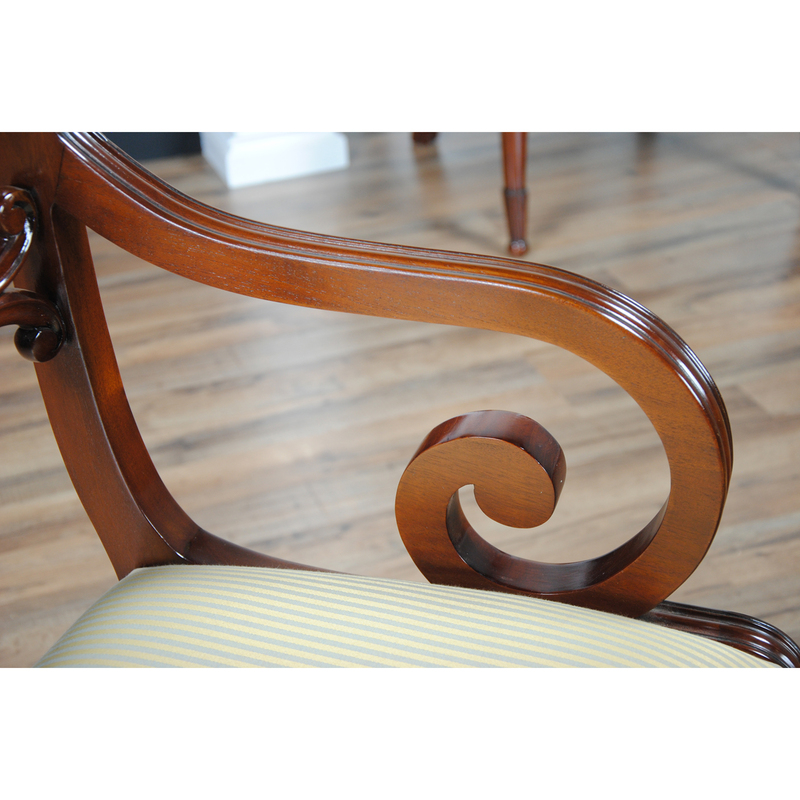 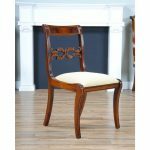 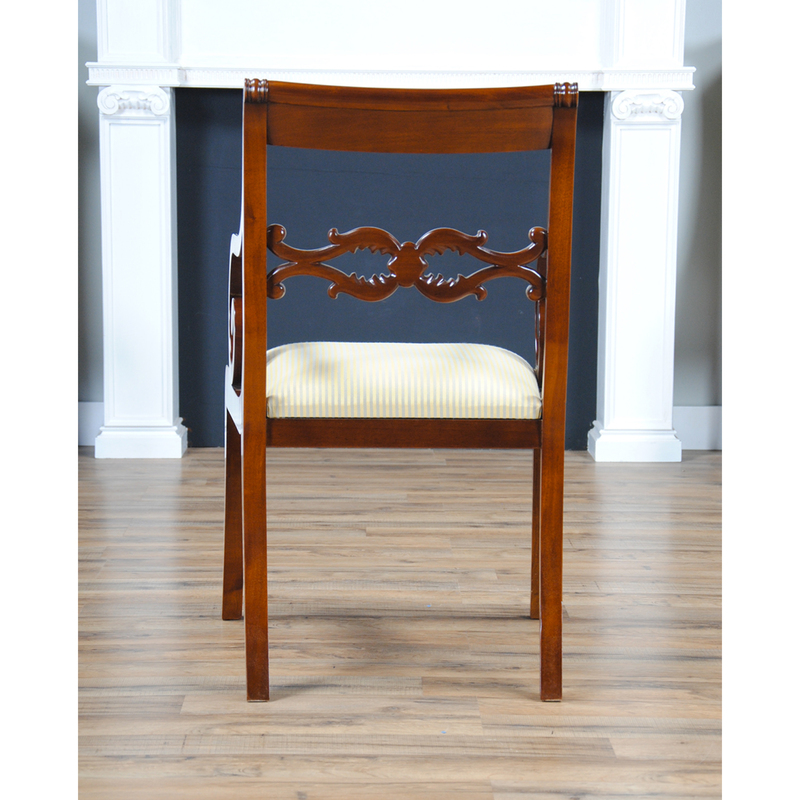 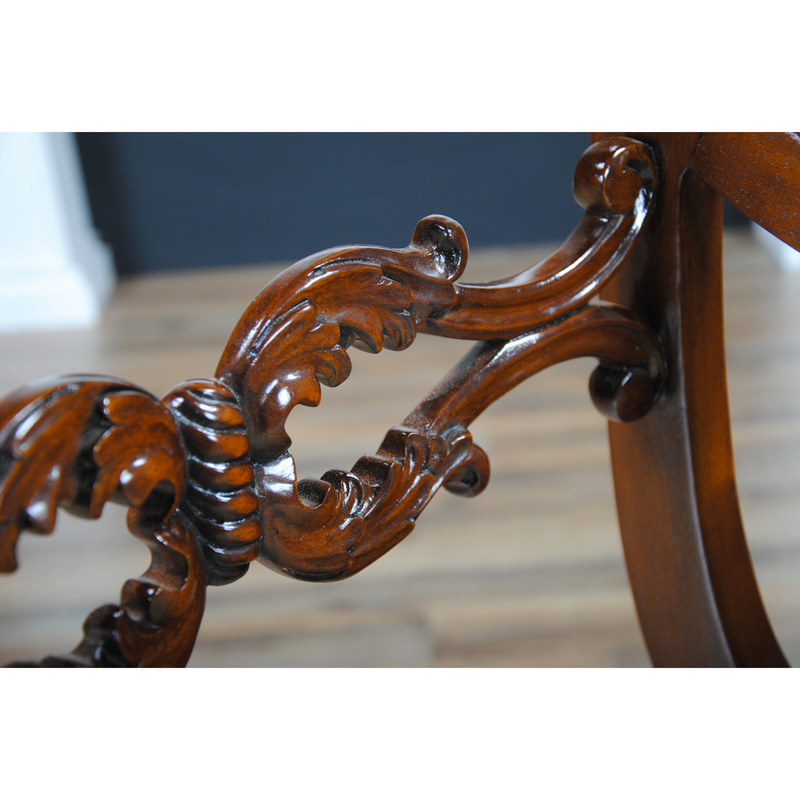 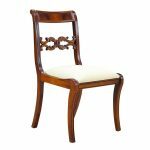 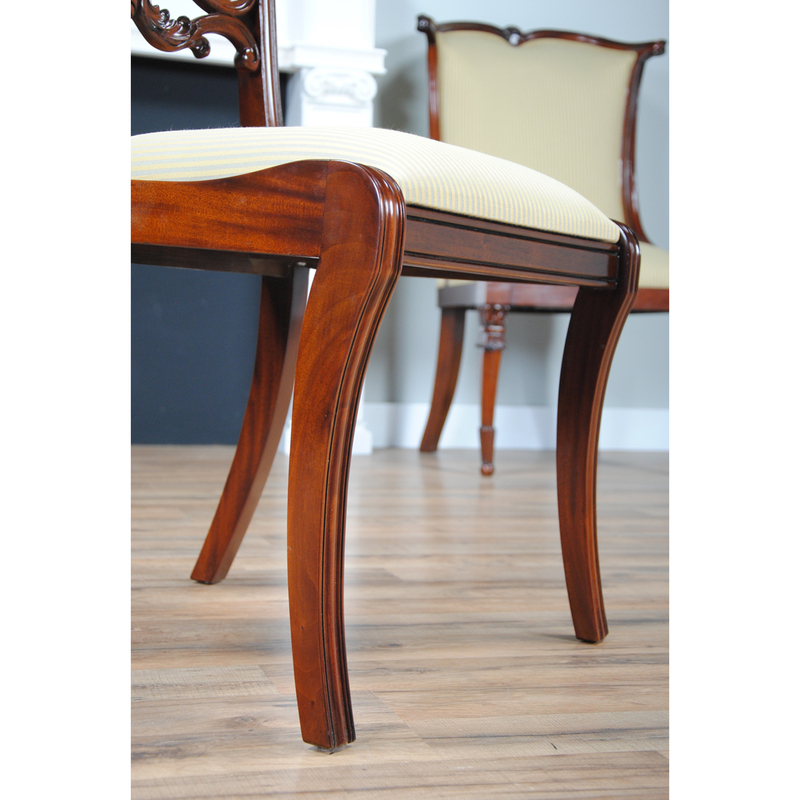 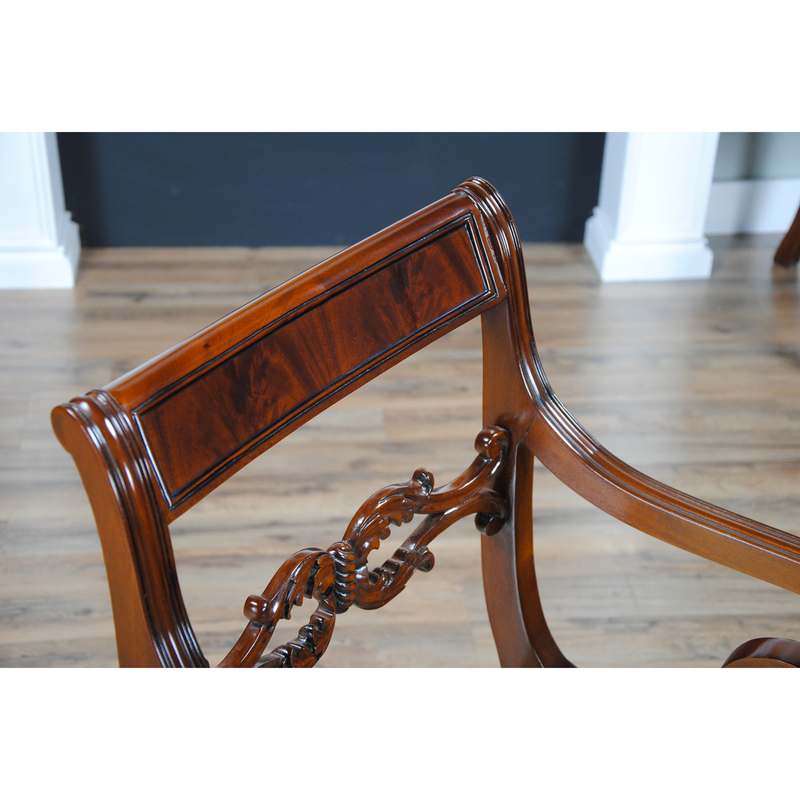 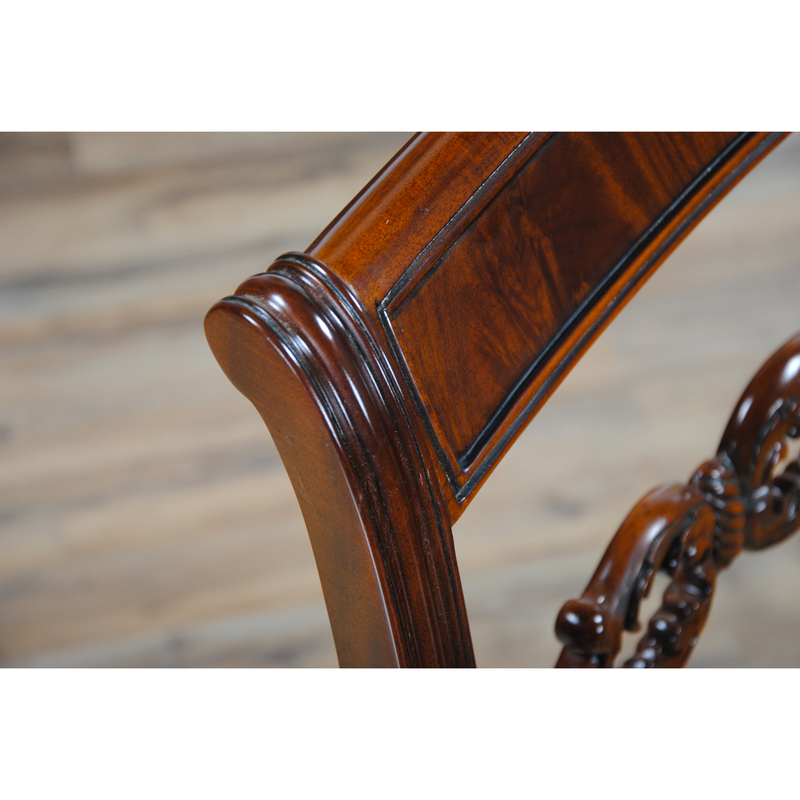 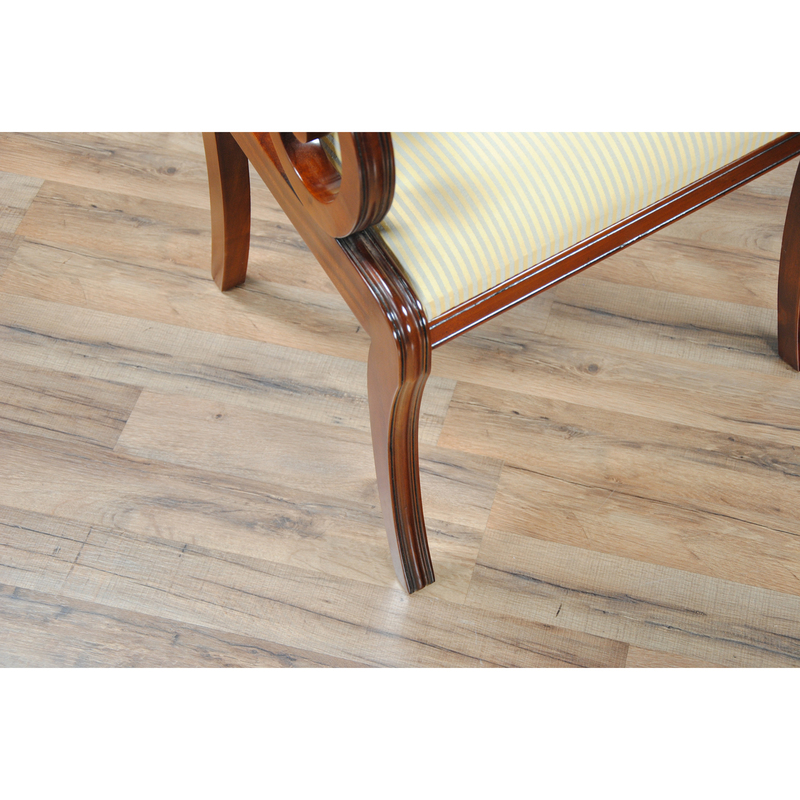 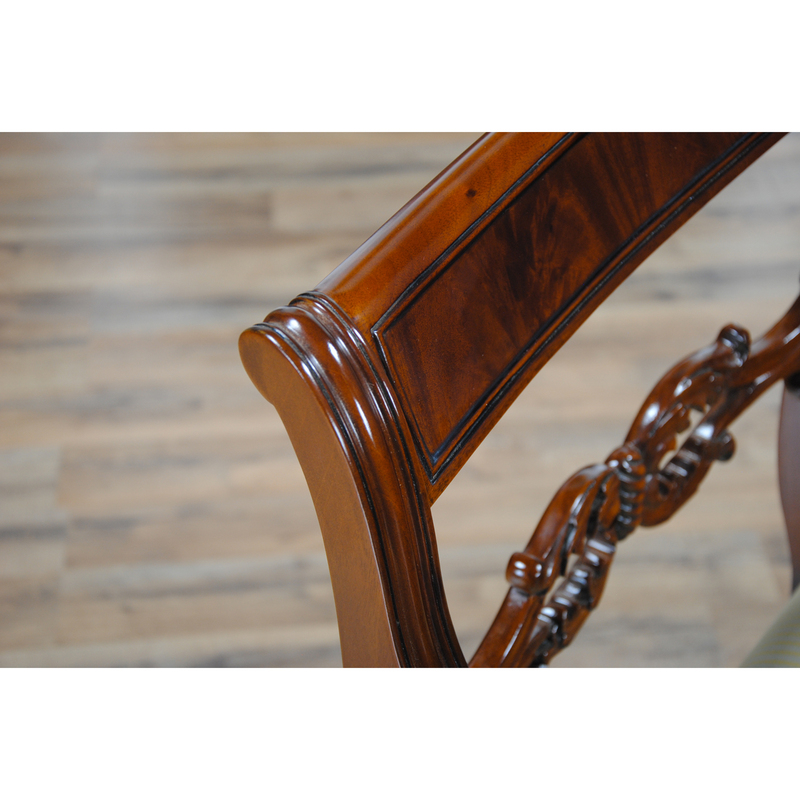 All of the Philadelphia Empire Chairs are hand carved from great quality, plantation grown, solid mahogany. 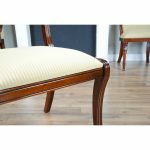 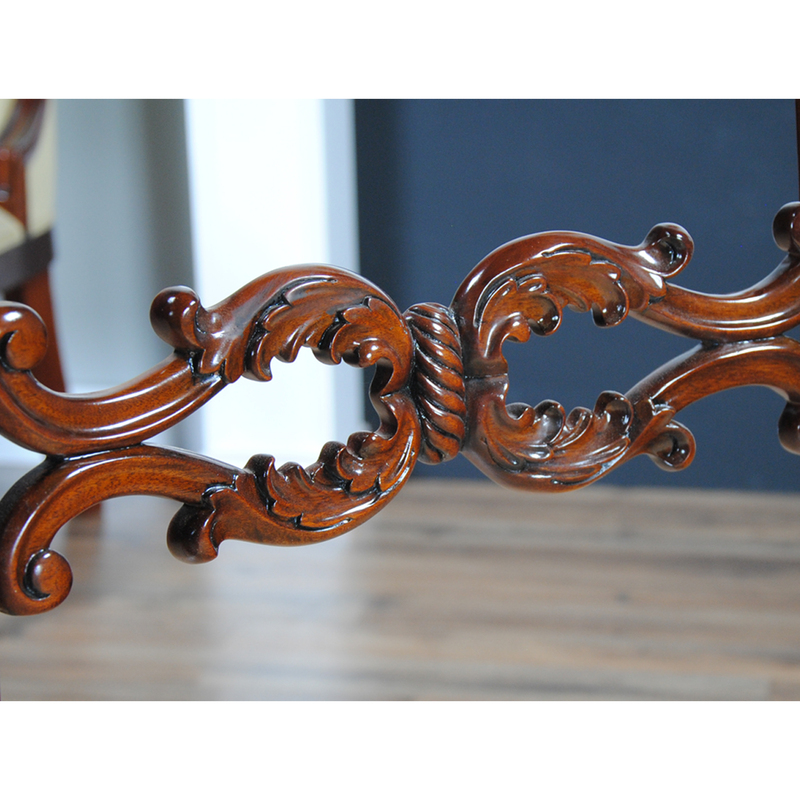 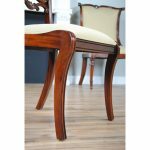 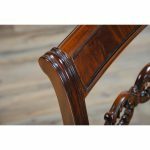 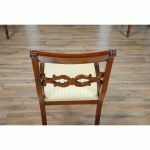 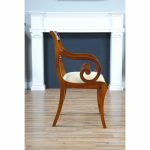 The bowed center rail features hand rendered, intricate carvings, the scrolled, downturned and curved arms form a graceful arc for comfort and they are supported over a tapered and curved saber leg. 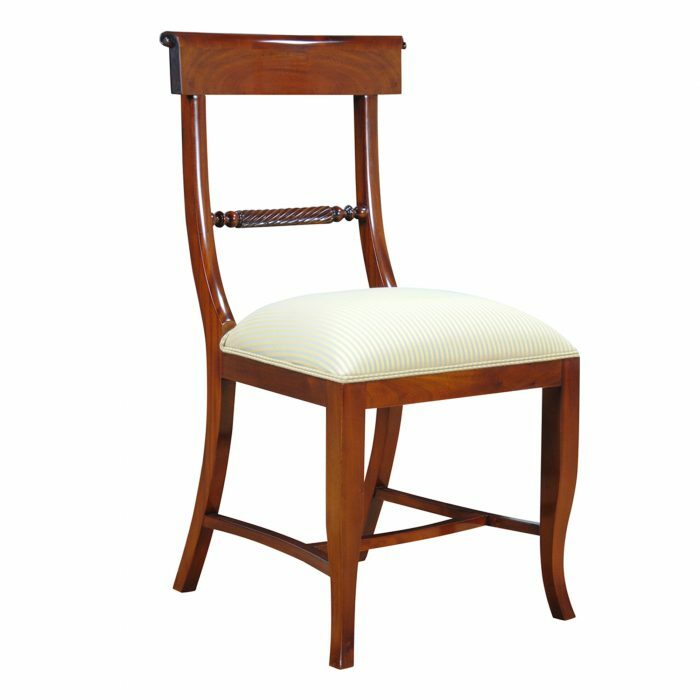 Deceptively simple at first glance the figured crest rail adds detail and charm to the chairs’ overall appearance. 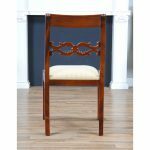 This is a chair whose narrow width makes it ideally suited for maximum seating capacity around the table during holiday occasions.